Disney’s newest live action movie Tomorrowland: A World Beyond starring George Clooney and Britt Robertson takes viewers on a journey into another dimension where Frank (Clooney) and Casey (Robertson) eventually discover that things are not as they seem. Each of them is transported to Tomorrowland through a tiny portal in a pin, they realise that they need to work together if they are to understand the secrets of Tomorrowland and save their own planet. We were lucky to get an early look at Tomorrowland: A World Beyond and would recommend it as a gripping family movie for older kids. The story is packed with action, and has plenty of twists to keep you guessing on what’s coming next. We saw the movie in IMAX which worked really well for this film and gave it more impact. It’s a more immersive film experience, and one that is so well suited to taking a journey through the portal into Tomorrowland. Tomorrowland is 103 mins and is rated PG for sequences of sci-fi action violence and peril, thematic elements, and language. Our boys haven’t seen the movie yet, but when they do, I’m sure they will enjoy it. The story fuels your imagination and gives lots of food for thought. 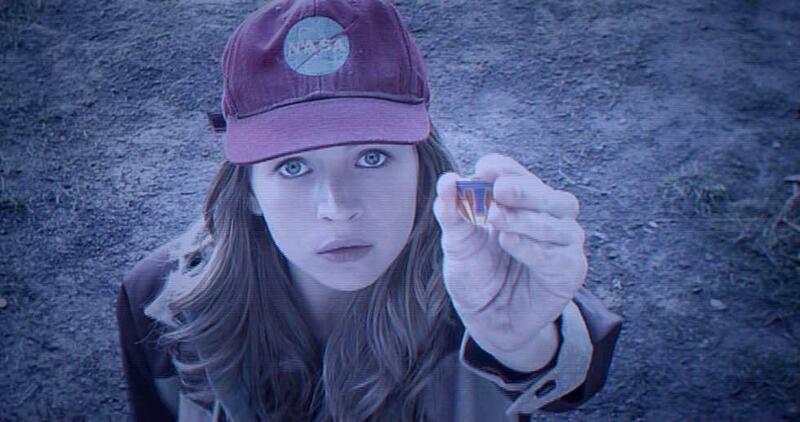 Ultimately, Tomorrowland is a story about hope, believing and never giving up. In true Disney style, this message comes through strongly after all of the action and peril and the story ends on an optimistic high. Sometimes you see it, sometimes you don’t. A secret door, a prosaic object, an enchanted key… With a click of the heels or a push of a button your life may never be the same. A portal can resemble anything. They have the ability to transform the mundane routines of everyday life, and catapult you into a completely new world. Characters of dreams, creatures of nightmares, breathtaking adventure or an alternate universe – the possibilities are endless. To celebrate the release of the upcoming new Disney film, Tomorrowland: A World Beyond, we round up some of the best and most memorable portals ever seen in film, all of which represent magical, mystifying madness. 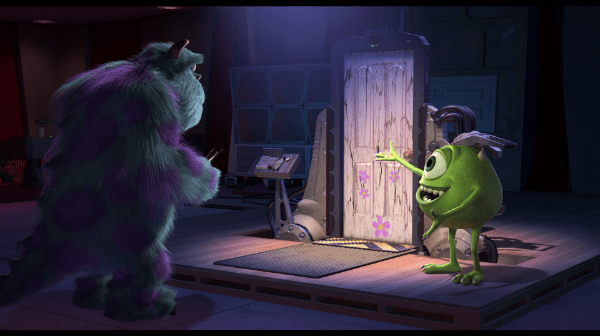 This Disney Pixar family-favourite is based in one of the largest scare factories in Monstropolis, where chief scarer Sully and his feisty one-eyed assistant Mike make a living by scaring young children. A factory of swinging doors provides access to the human world – with a twist of a doorknob, the monsters creep through the portal and parade their scariest assets whilst the children are sleeping. This system of “world-hopping” which was built to induce nightmares sounds like a night of terror for the poor kids – but the portal works both ways… A slight oversight occurs and little Boo finds her way into monster mayhem. This dreamlike classic takes you into a world of legend and fairytale. When four children are evacuated out of London to a countryside home, a magnificent adventure is probably not what they had planned. 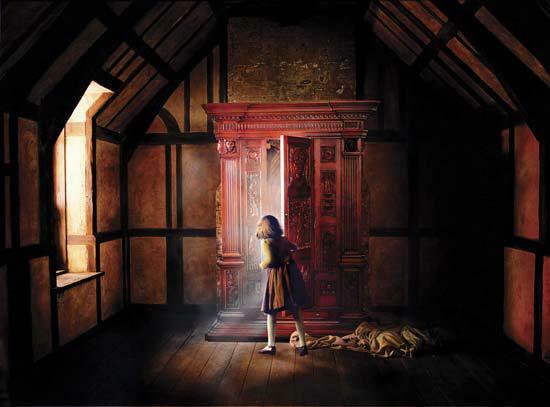 Unbeknown to Lucy, she climbs into a beautiful wardrobe whilst exploring the house and miraculously finds herself in a land far, far away. This is no ordinary wardrobe – if you take one step too far you find yourself ankle deep in snow and surrounded by mythical creatures. This portal demonstrates the test of time – fifteen years pass whilst the children are in Narnia, but the second they venture home and the branches turn once more into coats; they are back and not a minute has gone by. The Harry Potter franchise is arguably one of the most magical film series to hit the big screens. 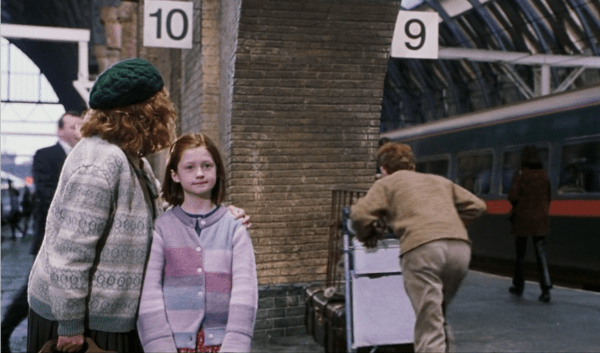 One of its most iconic scenes from Harry Potter and the Philosopher’s Stone takes place at Kings Cross station, on a platform known as Platform 9 ¾. Anything can happen in this fantasy-fuelled world of witches and wizardry – Harry and friends run towards a brick wall and find themselves transported to a platform that didn’t previously exist. The use of portals is featured a number of times throughout the Harry Potter series – in Harry Potter and the Goblet of Fire a boot is used as a portkey to transport them to the Quidditch World Cup, and in Harry Potter and the Chamber of Secrets they use Floo Powder to get to Diagon Alley. Upon transportation back to normality, the escapade formed through a portal will appear only as a dream or a distant, hallucinatory memory. Tomorrowland: A World Beyond is in cinemas from 22nd May 2015.